Why the Starlings won’t fly! I was on vacation a few days back and went to my native town. The good thing about vacations is that everyday seems like Sunday. 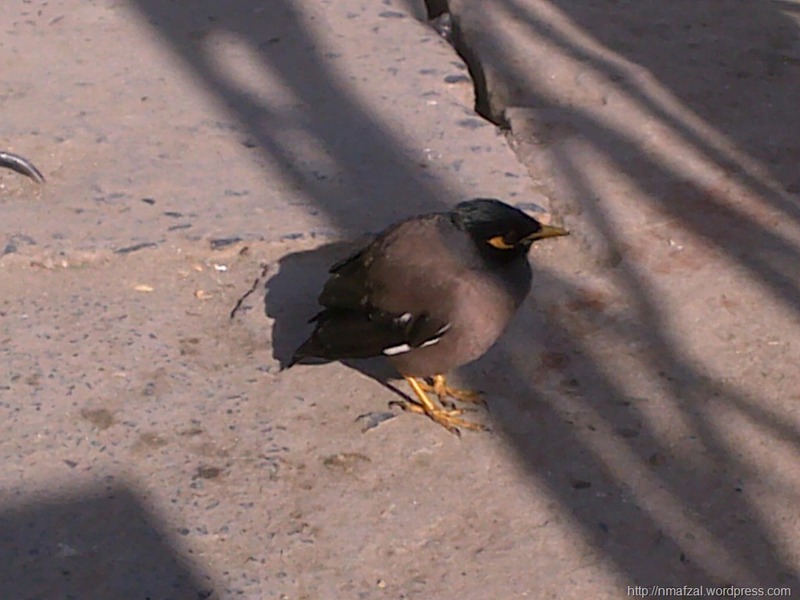 So one fine sunny Tuesday I went to the local market a saw at least 20 or so Starlings on the roads, sidewalks, under parked cars, near shops and almost everywhere in a small area. As I went near them none flew away, they just hopped and ran form one place to another. This was strange, as free birds are supposed to fly away when they smell danger or feel threatened. I chased a few of them, but still they wouldn’t fly! This was really strange! 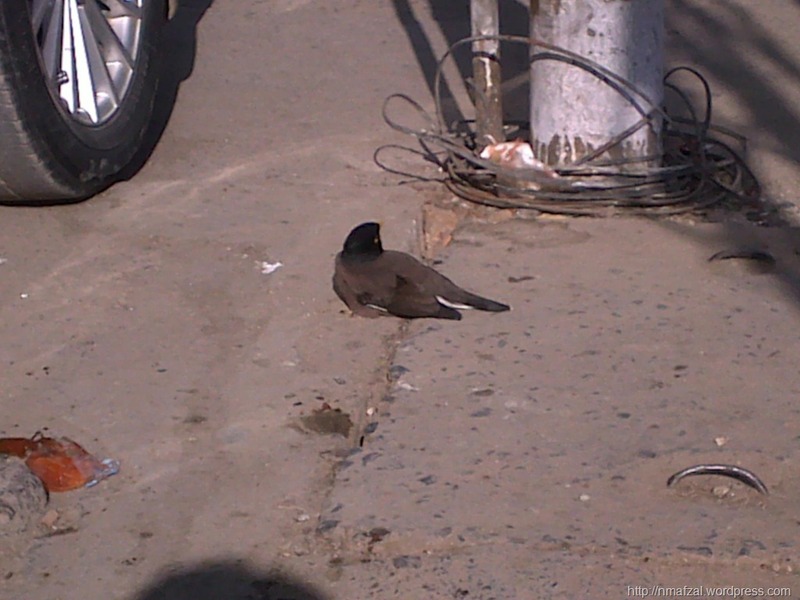 So I took out my camera and snapped a few pics of the birds, some running, some resting and some laying on the road. A couple of boys were standing near me and on my inquiring told me that a Starlings vendor was here, selling Starlings and he got hit by a car. As a result of this accident the cag he was carrying broke open and all Starlings escaped! Hence the commotion. Now for my readers, let me tell you that in my country Pakistan, free birds are caught and trapped by mobile vendors who roam streets and roads to sell them. Those who can afford the price pay the vendor and set a certain number of birds free. This is considered as a good deed, and a good Omen. 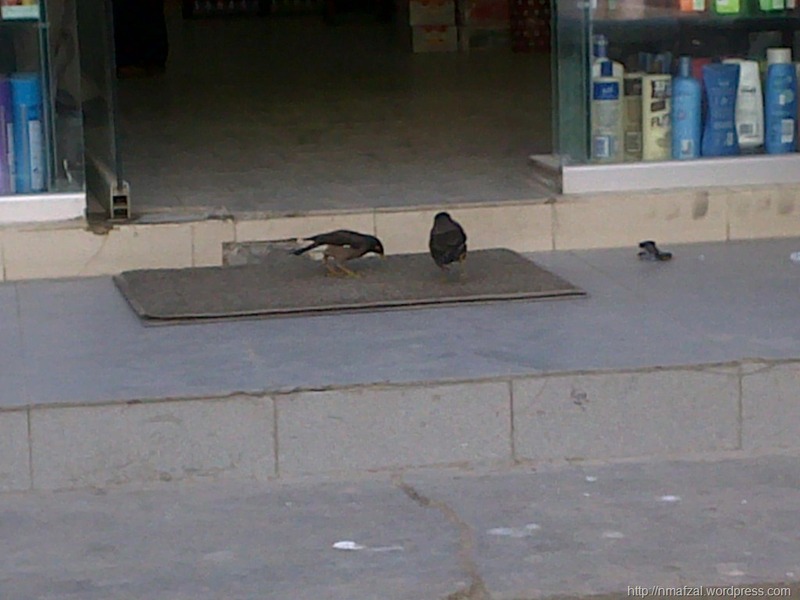 At places I have seen people selling crows and sparrows as well. To set a bird free is a noble act, according to local custom! But what about the guy who catches them in the first place? Before you take a look at the pics, let me tell you something else. Some of the Starlings just lay on ground and some were standing absolutely still. 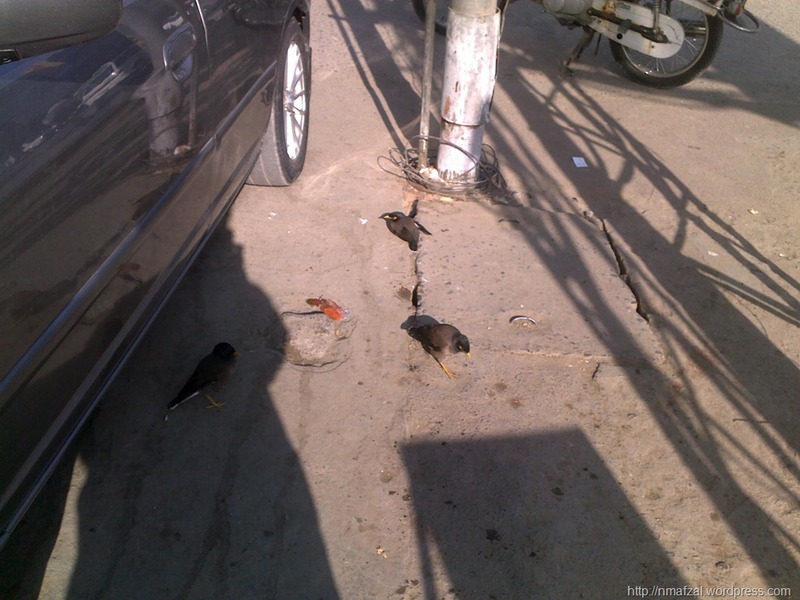 I believe either the birds were drugged or had their feathers pulled out, so that they could not fly. The vendor I believe, did this in order to catch them again and sell them to some other person for setting them free yet again! Strange it is indeed, very strange. This one seems Stoned out of her mind!